Optional Single Supplement: $623 USD (number of singles limited). This tour may require a mandatory single supplement charge of $147 if you join our share program and we are unable to pair you. This itinerary combines our Classic Peru tour with two extensions: Nazca & Ica, as well as to the Peruvian Amazon for a highlight packed, extremely varied Andean and jungle experience. Welcome to Puerto Maldonado. Begin to experience the enchantment of the rainforest, as you take a boat ride along the Madre de Dios River to arrive at Inkaterra Hacienda Concepción. After a short briefing, settle into your beautiful cabaña and enjoy your lunch in the dining room. Take a nap, followed by a refreshing tea time and get ready for the afternoon excursion. After gathering with your Inkaterra Explorer Guide, and embark on a guided walk along the trail system, into the Inkaterra Reserva Amazonica natural area, where you will discover the Amazon Basin. This trail offers an excellent introduction to the jungle environment, winding past impressive trees such as the Shihuahuaco, and the strangely beautiful strangler fig, offering excellent opportunities for bird watching and observing exotic insects. Enjoy dinner, served in the main dining room from 7:30 p.m. to 9:30 p.m. After dinner, you may retire early to your own cabaña, or join us to talk about your experience in the rainforest, as you listen to the intriguing sounds of the jungle at night. * Your Tour Leader will bid you adieu at this point and hand you over to our local lodge staff who will manage all aspects of your Amazon experience. Please also note that this program description was provide by the lodge and may vary depending on weather and other unforeseen changes. We may also use one of several lodges in the area and the detailed description can vary. Overnight at a comfortable lodge. New experiences are ahead and after taking a nutritious buffet breakfast, get ready for a trek through terra firma into the Tambopata National Reserve towards Lake Sandoval. Here you will understand why Madre de Dios is called the biodiversity capital of Peru, while learning about the Reserve’s conservation efforts and the lake’s formation. Navigate by dugout canoe across this mirror-like oxbow lake that is home to the endangered giant river otter, blue and yellow macaw, red howler monkey, black caiman, and one of the world’s biggest fresh water scaled fish, the paiche. Back to the lodge for lunch and, later, the canopy walkway & anaconda walk await. Take a 20-minute ride by outboard motorized canoe to the Inkaterra Canopy Walkway Interpretation Center where you will learn about its construction and the conservation projects of ITA-Inkaterra Asociación (NGO). Ascend one of the two 98-foot towers (30 m) and cross the 7 hanging bridges that connect the treetops at 91 ft high (28 m). Enjoy the breathtaking vistas and get the chance to watch white-throated toucans, woodpeckers, trogons, squirrel monkeys, and the three-toed sloth. You will learn about the fauna and flora of this flooded ecosystem. Enjoy a full breakfast before departure. A 45-minute return trip by boat on the Madre de Dios River takes you to Puerto Maldonado, where you will visit the Butterfly House. Peru boasts the greatest variety of butterflies in the world, with 3,700 known species. Many of these can be seen at the Butterfly House, a showcase for the variety, beauty and adaptability of these fascinating insects. Later we transfer to the airport for our flight back to Lima. We have use of day rooms at a Lima hotel to freshen up before transferring to the airport for our overnight flights homeward. LAND ONLY CLIENTS: In order to provide adequate connection time, please ensure that your return flight home from Lima does NOT depart earlier than 9:00 p.m. Climb the banks of the meandering Madre de Dios river, and enter another world. Wake to a symphony of tropical ...	end your days by lantern light, falling asleep to the gentle night noise of the Amazon rainforest. 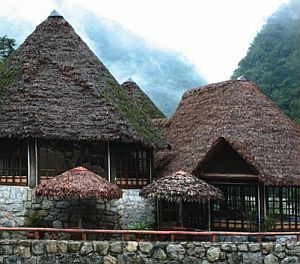 Exotic, yet accessible, Reserva Amazónica Lodge is situated in a private reserve, surrounded by a vast Peruvian Rainforest. As Peru’s pioneer in nature travel and research, Inkaterra provides an unforgettable introduction to this amazing realm of incomparable biodiversity. Breakfast and dinner daily (hotels and local restaurants); lunches in the Amazon. All transport, sightseeing and entrance fees for sites noted as 'visited' in the detailed itinerary. Airport transfers for land & air customers and early arriving / late departing travellers who book extra nights with us. Days1-10: Gratuities for local guides, drivers, restaurant staff, porters. International airfare to/from the tour. Tour Leader and Amazon guide / lodge staff gratuities, most lunches, drinks, personal items (phone, laundry, etc), departure taxes, domestic and international air taxes (if applicable). Airport transfers for Land Only customers. Optional trip cancellation insurance. Our post-reservation trip notes offer further guidance on optional meal costs, shopping, and locally paid departure taxes. This tour is offered throughout the year. The cool and dry season runs from May to October; outside this time you will encounter warmer but perhaps rainy / misty conditions in the mountains. Serious heat / humidity are only a consideration in Lima, though even there is is often foggy and cool. The lowlands (Amazon) are humid and rainy throughout the year. 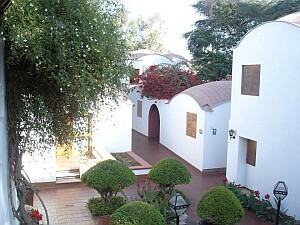 The Nazca excursion is run and organized by a local operator. Elsewhere, road transport by private air-conditioned motor coach, 24-36 seats depending on ultimate group size (see 'group size'). Numerous walking tours on uneven surfaces. 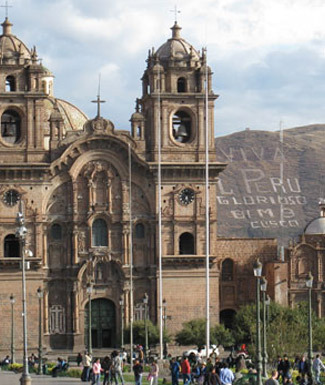 Most of this tour occurs at high altitude and, though our itinerary spends a night at Yucay before climbing higher to Cuzco, some people are affected-check with your doctor. Scenic VISTADOME train from Aguas Calientes to Cuzco. Internal flight via scheduled local carrier. Tour Leader, driver/s, and local step on guides for Lima and Cuzco / Machu PIcchu. Your Tour Leader will not accompany you for the Nazca & Amazon portions of the tour, where your experience will be expertly managed by our local staff and guides.